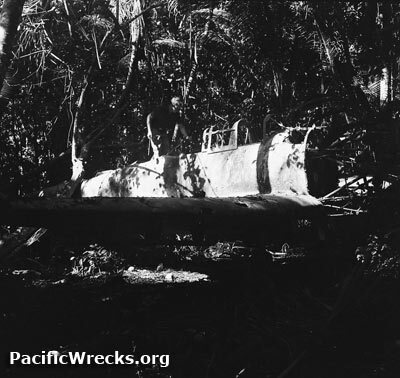 Ray Fairfield recalls: "The Val in my photo is the one Robert Diemert salvaged, the dent on the rear fuselage from the tree lying on it can just be made out in one of the photos taken at Moresby. The person is probably John Donnelly, my camera operator. I took the photo, and Robert Diemert wasn't there, his salvage trip was a year or eighteen months later."